Life Down Our Lane: Guess Who's One? One year ago today, I started blogging. This site was originally titled The Shipman Family and has just recently been renamed Life Down Our Lane. I do not scrapbook, or journal. Who am I kidding I can't get get the pictures on my computer printed out to put in albums. Blogging has been a great way for me to write what goes on in our lives and preserve our memories. So without much pomp and circumstance....I just thought I would do a year in review of blog highlights. February - Grace began swim lessons, and went to Disney on Ice. Gauge got his 1st tooth. November - Run down of the words Gauge knows. January - We had a houseguest, Gauge got his first haircut. February - Grace was the flowergirl in her Aunt Kristyn's Wedding. Congrats on your anniversary! I scrapbook & journal but since blogging I mainly do that. I have totally slacked in everything else, lol. It is such a great way to record memories though! Just dropping by from SITS to say congratulations! happy blogoversary! it's been a fun year! Stopping by from SITS. Congratulations on your one year blogoversary! You say you are not a scrapbooker, but I like to think blogging is a digital form of scrapping. Happy Blogiversary!!! Stopping by from SITS!!! 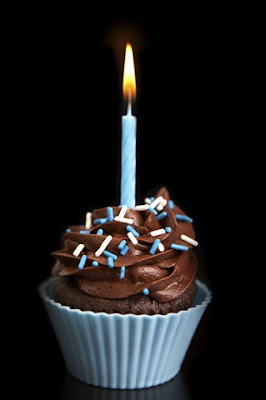 Congrats on your one year Blogiversary! I'm also stopping by from SITS. Congrats on your year of blogging!